5 Primer Health Benefits of Black Tea, Plain Drink with Devastating Effects - How many cups of tea do you drink daily? Of course, you’ve never counted, but you should have! What for? Because the more you drink, the better your health is. Yes, the health benefits of black tea are multiple. And the funniest thing is the fact we know none of them. Don’t you agree it’s time to open them on the map? Why should one drink AT LEAST 1 cup of black tea per day? A single cup contains nearly 200 mg of flavonoids. In fact, it contains more complex flavonoids (theaflavins and thearubigins) than most green teas. These are powerful antioxidants that don’t absorb in the body too fast. According to the latest studies and researches, there exists a connection between a decrease of cardiovascular diseases and increase of black tea consumption. Long-term drinking reverses the endothelial vasomotor dysfunction in those people, who suffer from a coronary artery disease. For those, who don’t know, this dysfunction is the first sign of rather serious coronary issues. If there are any potential risks for you to suffer from this health issue, we suggest drinking more cups of black tea per day in order to either prevent the disease or contribute to the treatment process. Diabetes is a progressive disease that affects regardless of age and social status. In case you are aiming at its prevention or want to outrun further complications, drink more black tea. This drink contains high levels of polysaccharides. They help in type 2 diabetes treatment. Polysaccharides are basically carbohydrates that contain starch and cellulose. They work reducing glucose absorption as well as blood sugar levels in those, who suffer from diabetes. What are the primer health benefits of black tea for diabetics? Drinking tea one expands arteries and contributes to blood circulation improvement. Regular consumption prevents a whole bunch of diabetes-related complications, including heart attacks and arterial walls’ thickening. Did you know that black tea is rich in a number of chemicals that have a relaxing effect on one’s digestive system? Its influence is regarded to be an anti-inflammatory one, thus indispensable in the process of digestive disorders treatment. Besides, thanks to the presence of tannins, the drink possesses a sort of a healing effect on intestinal disorders. Diarrhea patients sip back tea to get all the benefits. It is recommended to drink black tea between meals to have fresh breath, healthy gums, and strong teeth. What’s the secret? This plain drink has polyphenols that possess antiviral properties, considered to be very useful in fighting many bacterial deposits on our teeth. As a rule, such deposits produce damaging acids that are responsible for caries, tooth decay, bad breath and various dental diseases. The health benefit of black tea is such that its components protect teeth from the above-mentioned damages, protecting tooth enamel and reducing tooth and gum diseases. Regular consumption strengthens bones and increases their density. Most diet courses include green tea as the main weight-loss product. Yes, it really boosts weight loss, but black tea also has the same benefits. According to the latest researches, regular consumption of sugarless black tea leads a reduction of weight loss. Theaflavins and thearubigins – the polymerized polyphenols present in black tea – are responsible for this effect. So, with black tea dieting becomes a lot easier. 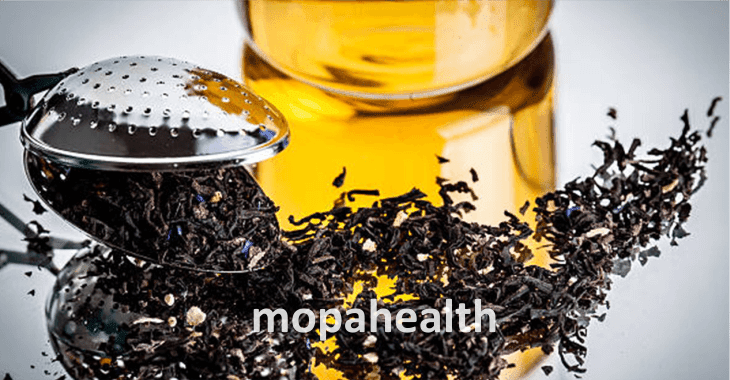 We bet that having read about health benefits of black tea, you’ll start drinking it more frequently than you usually do in order to improve your health and life. And that’s a wise decision. Don’t you agree?